A week after the event, Obama’s victory is still thrilling and has brought with it a ray of hope. Even some supportive words from Tony Blair have failed to completely dispel the mood of optimism. As Leonard Cohen sang last night on stage in Bournemouth. Try as I might, and believe me I’ve tried hard, I have never been entirely convinced by Cohen as a novelist or, even more so, as a poet on the page. But as a songwriter he hits it, note perfect. He hasn’t been on tour for about 15 years – as he said at one point, “The last time I was here, I was sixty years old, just a kid with a crazy dream,” – but from the moment he bounds (yes, really!) 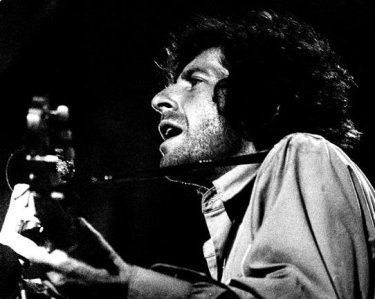 onstage and you hear the signature honeyed-gravel tones of his voice, you know he’s back at the top of his game. What becomes clear, over the course of the evening, in the most exciting and involving way, is the quality of the songwriting. And that, as song follows song, the performance becomes truly an event in which we are all, performers and audience alike, there to serve and keep alive these songs that achieve a very special resonance, that penetrate and make a real human connection and, hell, I’m going to say it, songs that fill your being with a profound sense of joy and celebration. Of the possibilities of language and music, and of human beings and the tangled web of contradictions that we live. In short, if songs are a promise, that promise was kept. ‘So Long Marianne’ is heart-stoppingly perfect. ‘Suzanne’ thrillingly on edge, that somehow seemed to make afresh that most iconic of songs. ‘Who by Fire’ was given a sumptuous introduction by Javier Mas on the bandurria (or the laud!). The musicianship throughout is truly excellent, and the evening is carefully plotted and shaped, the attack of the more recent songs counterbalanced by the more contemplative classics. ‘Hey, that’s no way to say goodbye’, a gorgeous mixture of celebration, longing and regret; the ‘Famous Blue Raincoat’ bathed in blue light. And what better night than the 11th of the 11th for ‘The Partisan’, realised beautifully. What’s to say about songs that you haved live with throughout your life? A certain amount of relief that they still stand up; a certain amount of surprise that they seem to be getting even better with time. ‘… I delayed the site updates this month because I wanted to wait until after the election. I did not, though, shave my pubic hair as instructed by more radical friends in the US, to shout the statement NO MORE BUSH. Cohen’s autumn tour, meanwhile, heads off to London, Birmingham, Paris, Brighton and Manchester. Catch it if you can. You won’t be disappointed.